We started the ACCEPTO Erasmus Plus project 2014-1-RO01-KA201-002618 on autumn 2014. Every teacher introduced their class with the new Erasmus project and thats idea in our school. 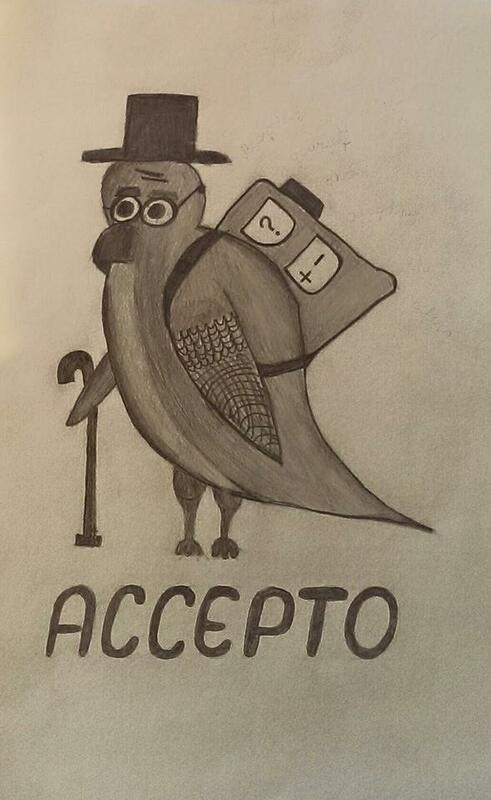 There were made infoboard where everyone can find newest information bout ACCEPTO activities. There were infodocument for the parents, in such way we got permission that childrn can be involved in the Erasmus project activities. There were several parents who denied the participation in the project. The information about project was published in the school’s website and in the school’s facebook page. 1th project meeting was held in the coordinating school Mihai Eminescu in Roman, Romania 28th – 31th October. The Rigas Valda Avotina pamatskola – attistibas centrs was represented by Signe. Each partner made presentations about their school and country, there were discussed plans, details and new rules of Erasmus projects.There were cultural activities. 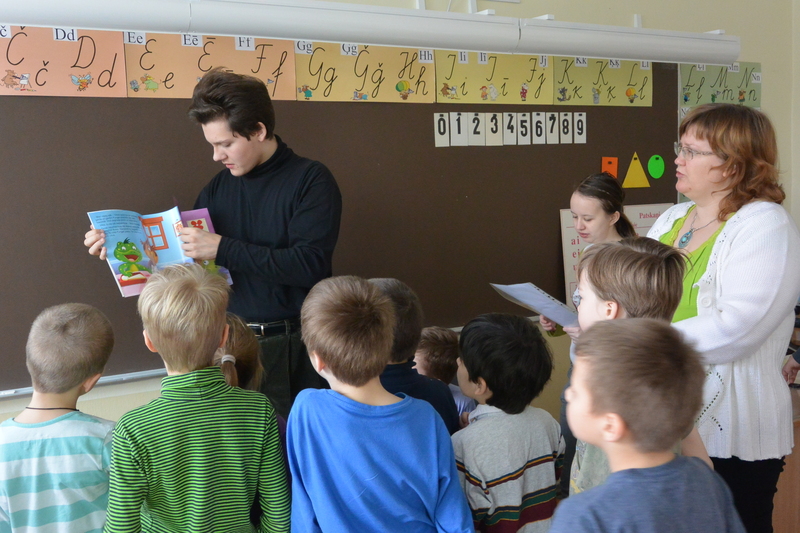 In November our teachers shared EXPERIENCE about bullying in the class, how to deal with it. We made summary of this experience (it will be translated in English later and will be published in educational materials). 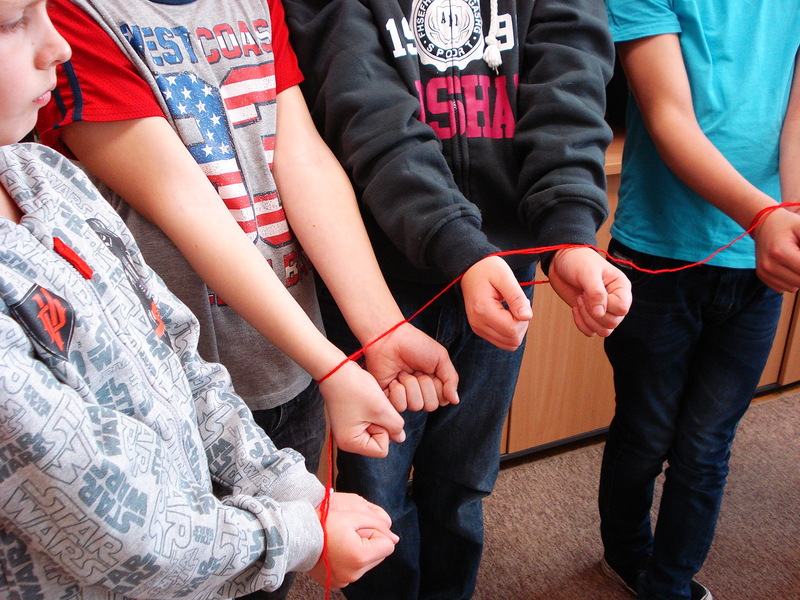 December – February, THE BRAINSTORMING were organized in the classes to find solutions for bullying. 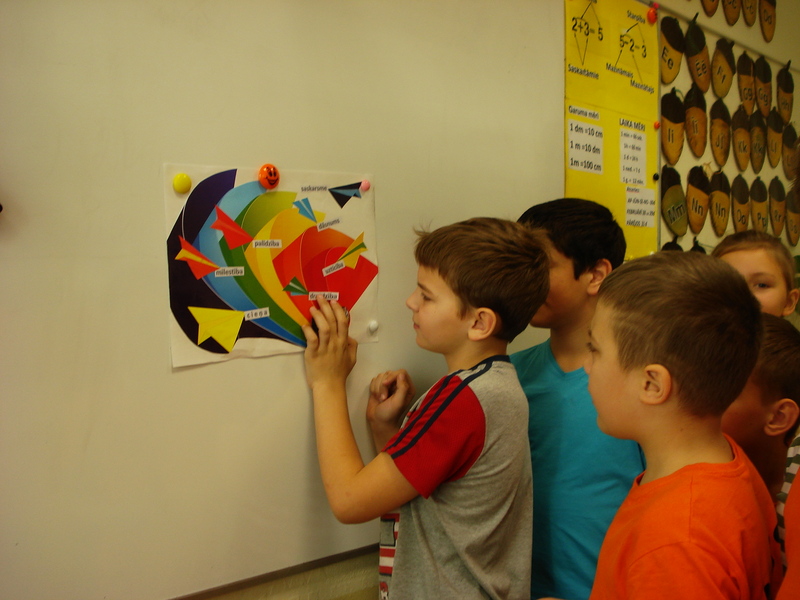 Our students played short etudes to show what is bulling and those negative feelings.They improved teamwork in their classes. There were involved all grades and all class teachers who organized this activities during the Class lessons. The students made PRESENTATIONS about bullying and violence in the school. 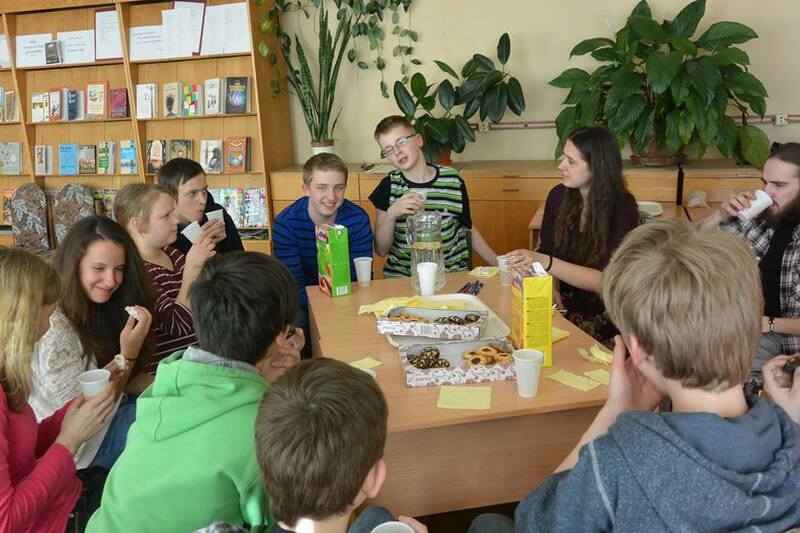 There were involved 9 grades and their class teacher and the Erasmus team. The students made Bullying and Cyberbullying QUESTIONNAIRE. Our students made POSTERS with the info what they got during brainstorming. The first oovoo transnational videoconference were held in December. Our school was presented by Signe and 4 students. we are looking for such conections in future. 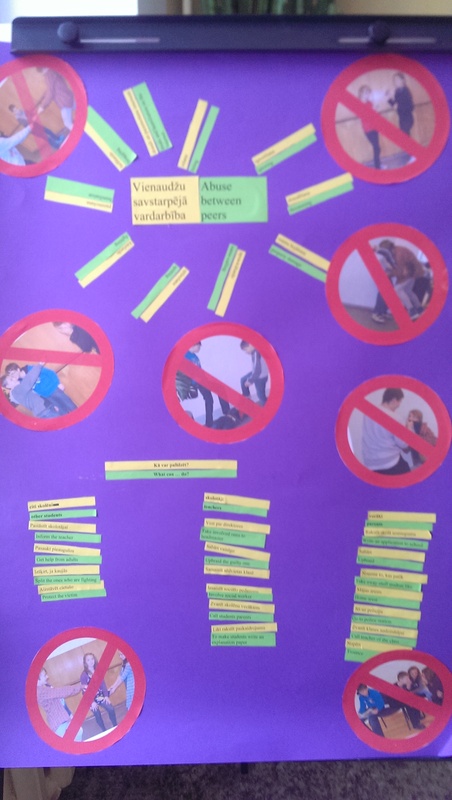 The 9th grade prepared themselves to visit younger classes to introduce them with the useful info about how to recognize violence and bulling, what to do in such situation, who can help them. We made BOOKLETS to disseminate this task with the appeal STOP VIOLENCE we distributed those to the students, their parents, their friends, our neighbor schools and kinder-gardens. 0n 2-6 March, TRAINING COURSES in Cagliary, Sardinia. It was educationa and enjoyable. We are glad to gain a better understanding of cyberbullying. We are glad we had opportunity to discuss many issues – the serious ones and not so serious, and funny things!!! Meeting in Gateo, Italy, was held in the school Istituto Compresivo. The programme of the meeting included the official parts and cultural part. 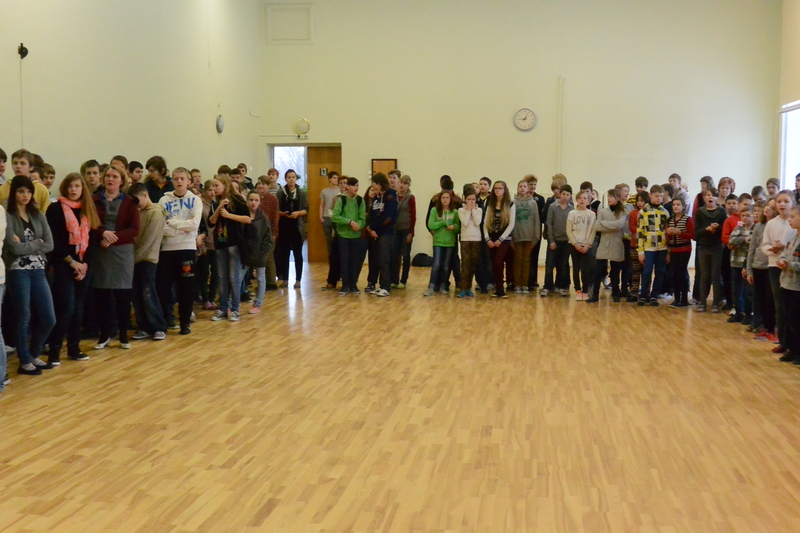 The school presented their Erasmus Corner and wounderful drama “A midsummer nights dream”. March 19, The DISSEMINATION of the training course on cyberbullying among the teachers and students. There were presented information about cyberbulling, excrete professor Luca Pisano materials about cyberbullying and bullying. We discussed and inspect the situation in Latvia. “Cyberbullying” is when a child, preteen or teen is tormented, threatened, harassed, humiliated, embarrassed or otherwise targeted by another child, preteen or teen using the Internet, interactive and digital technologies or mobile phones. Cyberbullying is usually not a one time communication, unless it involves a death threat or a credible threat of serious bodily harm. Kids usually know it when they see it, while parents may be more worried about the lewd language used by the kids than the hurtful effect of rude and embarrassing posts. Our conclusion were to start with ourselves – to think about safe internet use by ourselves, then to teach children and their parents about safe internet and cyberbulling. Every teacher got information what they will use in the class lessons about cyberbulling. There are planning courses for others school teachers, for the students and their parents in our school. 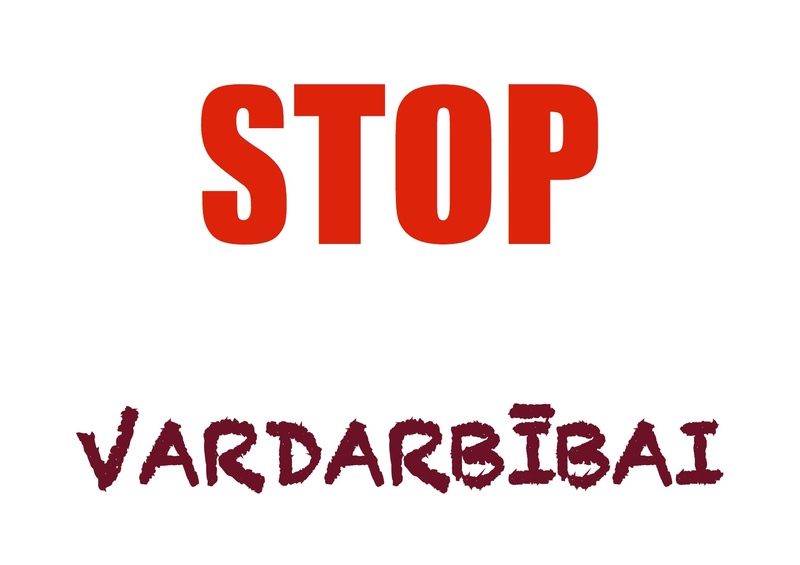 On March 24, Every class teacher is going to organize class lesson about cyberbulling during April. We are palnning to collect materials and to make educational material for the teachers to use in the class.The students watched some short movies about cyberbullying and discussed the problem and tried to find solutions in given situations. 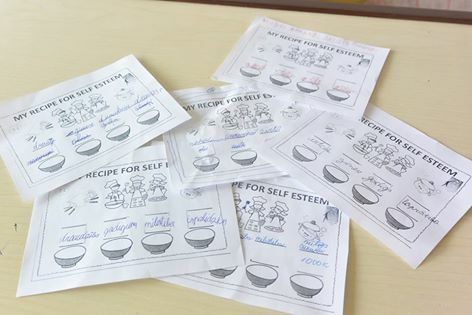 We had activities about self-esteem and tolerance against the bullying in 6th and 7th grades. Everyone got many good words and compliments from classmates. We discussed about bulling in class and ways to overcome such situations, how to disarm buller. Take the main ingredients – FAMILY, FRIENDSHIP, POSITIVE ATTITUDE, STRENGTH and COURAGE. Snap off all black dots and any wilting. Then make a dressing. Take LOVE, TRUST, then add a little HONESTY. It will taste better if You will coarsely great over a little extra HELPFULNESS and COMPLIMENTS. Then mix carefully all ingredients and Vualá! 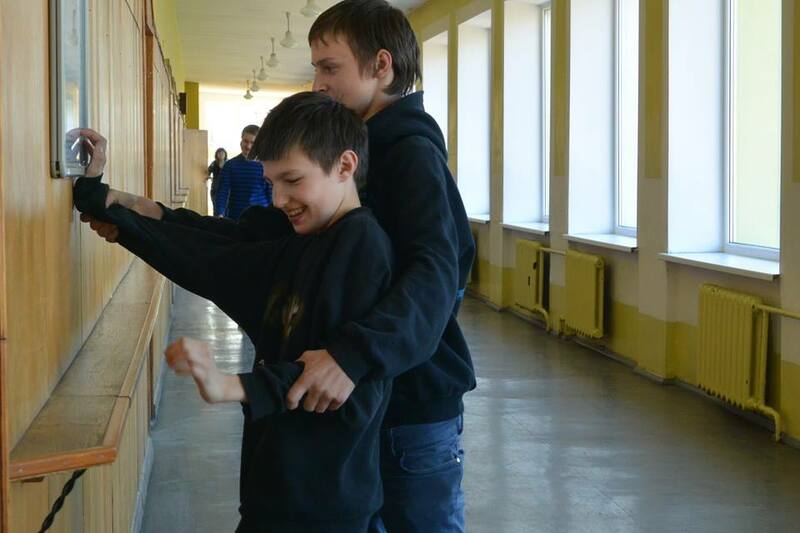 April, We had opportunity for new short term project and we compared it with Erasmus idea – to overcome bullying. 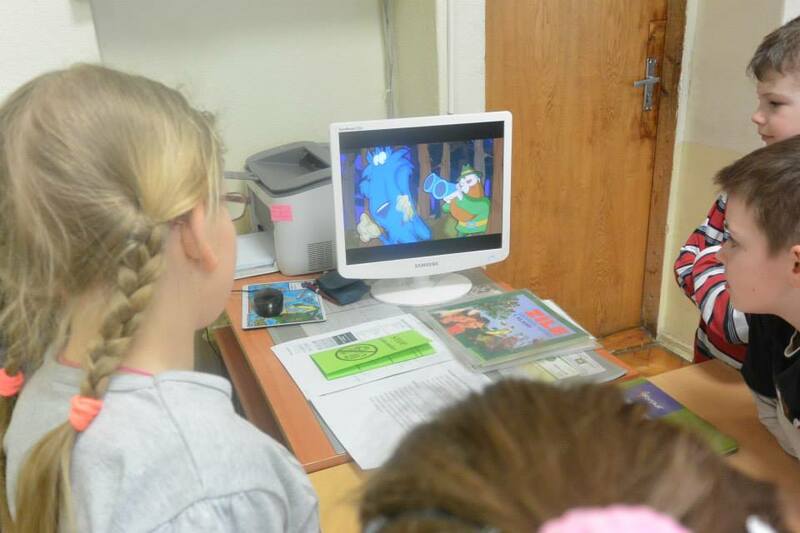 It is Volunteering Programme project IZ – SPĒLE (TO GAME), the project is funded by the Riga City Council Education , Culture and Sports Department of the Social Integration Programme. 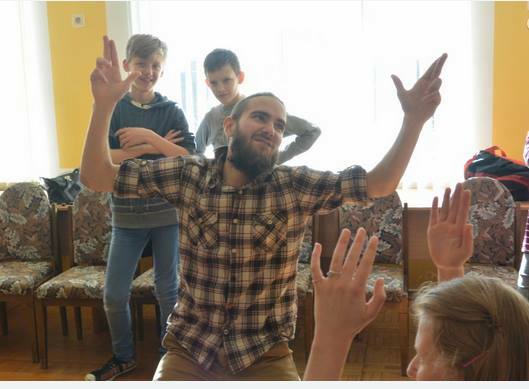 The project is attracting young people to volunteer work, and the young people, the students from universities (Latvijas Kultūras Akadēmija, Latvijas Universitāte) are organizing improvisational theater game lessons for peers. These activities provide an opportunity for learners to increase self-esteem , self-confidence , self- awareness, integration into society in a positive way to educate and to motivate. It is funny and atractive way how to work with the peers with deviant or problematical behavior. We are planning to continue these improvisational theater game lessons for peers next year during Erasmus ACCEPTO. They have opportunity to meet motivated young people, to discuss many things during tea break, they lean to understand that there are so many ways to express themselves in polite way etc. 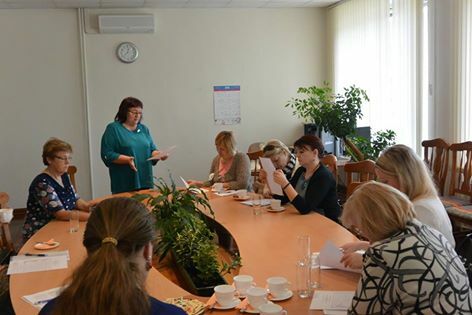 April 23, Rigas Valda Avotina pamatskola – attistibas centrs organized the seminar of exchanging experience for Riga’s teachers. During this seminar we disseminated Erasmus ACCEPTO project idea and offered booklets about bullying and Cyberbulling. April and May, We are working on film about bulling in the school. May. In the meeting in Markoupoulo, Greece, our school was presented by two teachers and two 9th grade students, who were prepared their presentation about first year activities. June, dissemination of our first year activities during the Professional development courses organized by our school. 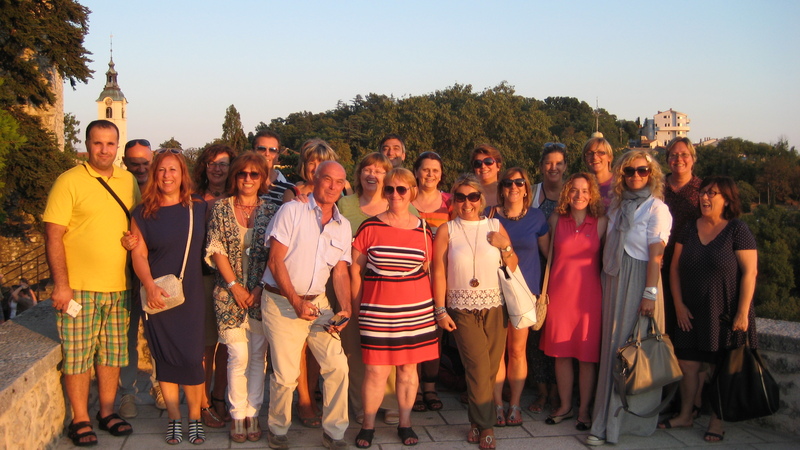 There were almost 30 teachers from all over Latvia. Meeting in June. Croatia – Rijeka. There were organized workshops managed by prof Luca Pisano, and there were cultural activities.